Waiheke Airservices was formed in late 1994 and began operations from Waiheke’s Reeve airfield using locally owned Cessna 172M Skyhawk II, ZK-DXJ (c/n 17265810), with Jeanette Rhodes as chief pilot. 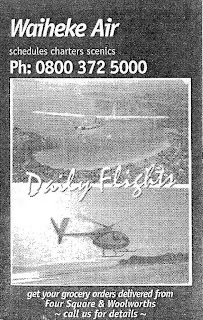 Initially the company offered scenic flights and charters, however, in April 1995 Great Barrier Airlines announced it was withdrawing its short-lived air serviced from Reeve Airfield. The void left by Great Barrier Airlines’ departure was filled by Waiheke Airservices and Gulf Island Air which had been operating from Waiheke’s Stonyridge airfield since late 1992. While Waiheke Airservices offered on-demand flights to Auckland it was particularly interested in flights to Great Barrier Island. 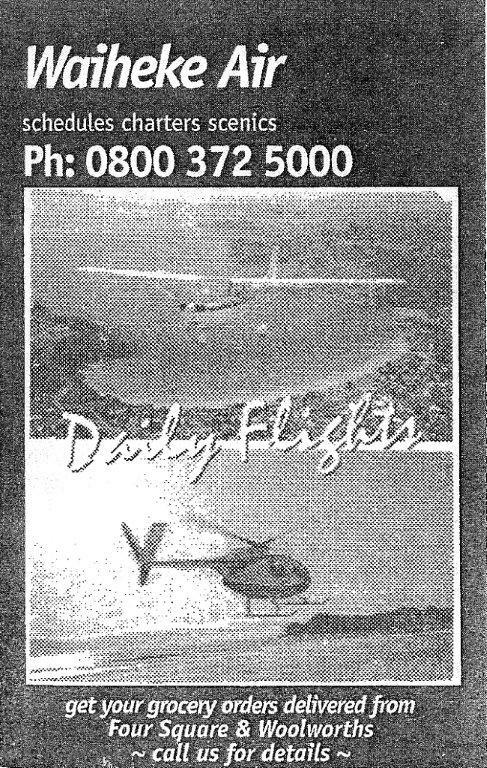 In May 1995 Dennis Musson told the Barrier Bulletin that his company was keen to fill the lack of an air service between Waiheke Island and Great Barrier Island. "We are interested in seeing a good service in both freight and passengers and are committed to both Waiheke and Great Barrier. Passengers travelling on the Waiheke-Great Barrier Airlines run were often required to travel to Mangere first and change to another aircraft, which made for a lengthy trip.” Flights to Great Barrier were initially offered on an on-demand basis for a minimum of two passengers at a cost of $65 one way using the four seat Cessna 172. Waiheke Airservices' first Cessna 172, ZK-DXJ taken at Ardmore on 14 November 1998. In April 1996 two companies were formed. White Knuckle Airlines Limited was formed by Brian Saward and seems to have been more oriented towards aircraft ownership. 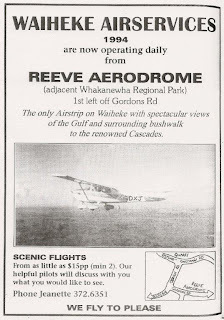 Waiheke Airservices Ltd was formed by Denis Musson, Brian Saward and Robert Silich, and this company included the management and operation of Reeve Airfield. 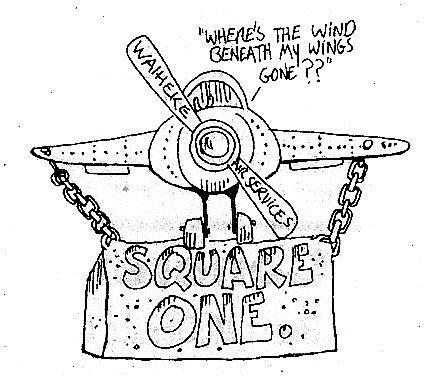 The demand for the charter flights built up to such an extent that in April 1996 the company established a twice a day scheduled service between Waiheke and Auckland, calling at both Auckland International and Ardmore airports, according to demand, and between Waiheke and Great Barrier Islands. Return flights on both routes were offered in the early morning and late afternoon. In June 1996 Cessna U206G Stationair ZK-EJG (c/n U20603549) was added to the fleet. This aircraft was no stranger to the Barrier having been used previously on the North Shore Aero Club/Air North Shore service between North Shore Airfield and Great Barrier Island. Another Cessna 172F, ZK-CKN (c/n 17252194), was used from mid-1997 to mid-1998 and Cessna 172M Skyhawk II ZK-PRF (c/n 17262667) was added to the fleet in 1998. The Auckland service was subject to competition from the fast ferries and this service was soon operated on an on-demand basis. The Great Barrier service, however, proved to be popular with boaties and those who needed to move among the islands of the Hauraki Gulf. The Waiheke Airservices’ flight also proved popular for its "grocery run" to the Barrier from Waiheke's supermarket. Orders were placed with the supermarket by phone, fax or internet. The supermarket delivered these to the airfield and, in 1999, for $4.00 a banana box of groceries was flown to Great Barrier Island. 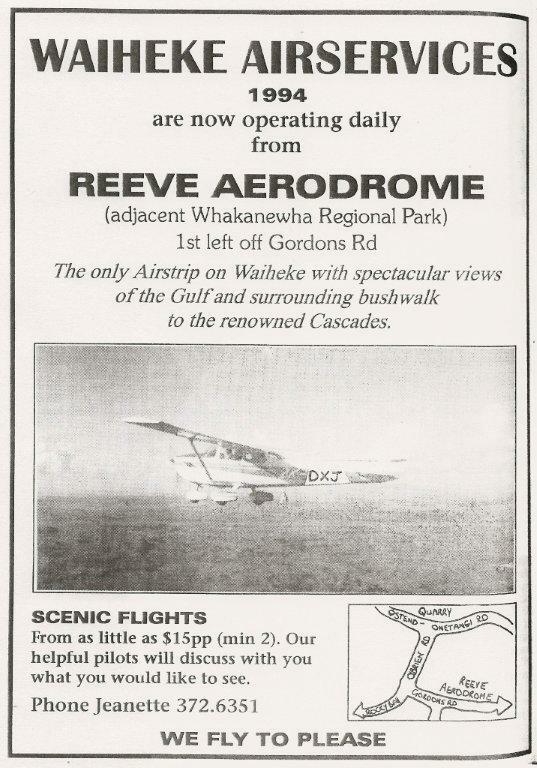 By 2000 the company was rebranded as Waiheke Air. In 2001 the airline was operating profitably. It was carrying over 2300 passengers a year, most of these being to Great Barrier which it flew to most days. In addition it would fly up to 40 flights to Auckland a month as well as operating general charter flights around the Hauraki Gulf. 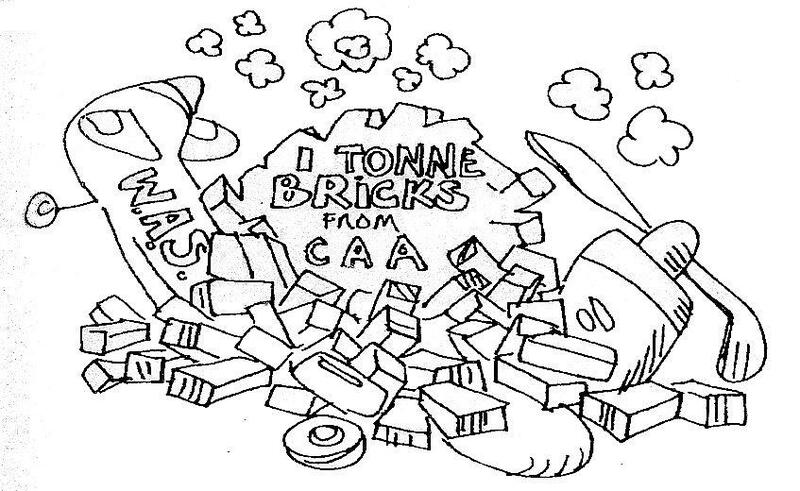 On the 4th of July 2001, however, the Civil Aviation Authority temporarily suspended Waiheke Airservices' operations certificate. 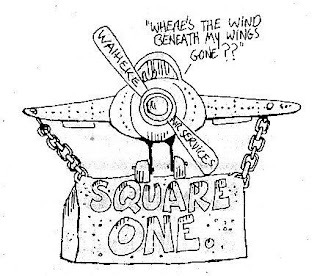 Three weeks later it grounded the company after its investigations showed that Waiheke Airservices “was operating without regard to civil aviation and transport safety regulatory requirements, was operating outside the limitations of its certificates and those of its personnel, and senior personnel had inadequate knowledge of civil aviation safety rules.” Brian Saward, one of the owners, told the local Waiheke and Barrier newspapers, “The decision was based largely on our paperwork, not on our ability to operate" and he felt the CAA went over the top in dealing with the situation. 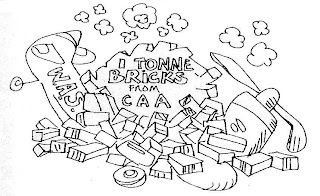 "They came down on us like a ton of bricks over some fairly lightweight issues."